The idea of having a Shrek party came to me when my oldest daughter started watching Shrek movies. She loves to dress up and her hair was getting long enough to braid, so I thought it would be fun to for her to have the opportunity to dress up like Princess Fiona and invite our friends over for a swamp party. After an unfortunate incident where she decided to give herself a haircut and her hair became too short to braid, my thoughts of her having Princess Fiona’s braided hair went by the way side, but the Shrek party stuck. I made simple loot boxes for the kids to take home from the party. I asked McDonalds for Happy Meal boxes (they were Shrek themed as Shrek 4: Forever After was in theatres), I filled the box with Shrek gummies, tattoos and coloring pages. I also made homemade gingerbread cookies and icing and added some trail mix to decorate Shrek’s friend Gingy. This was my first cake that I decorated without having a guide or direction from cake class. It appears that he lives in a tree trunk. I baked two mini cakes using a one cup and a two cup Pyrex measuring cups and stacked them on top of another for the house. I used Wilton tip #233 to make long stringy grass on his house and on the ground. I bought bulk candy rocks for some details around a lake. I put Shrek (which was a Happy Meal toy) on the top of the cake as a decoration and tada! 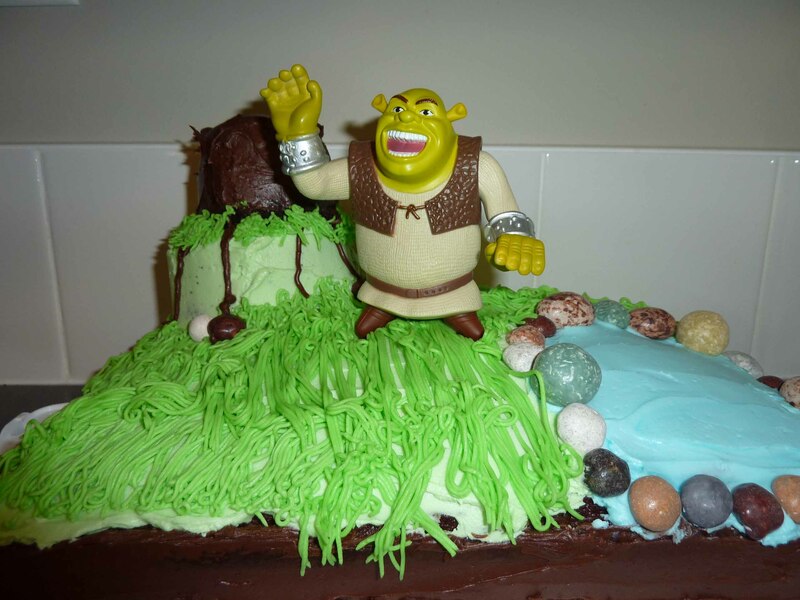 A Shrek cake! A punch bowl is a host or hostess’ best friend! Here I wanted something green and swampy looking, yet refreshing. 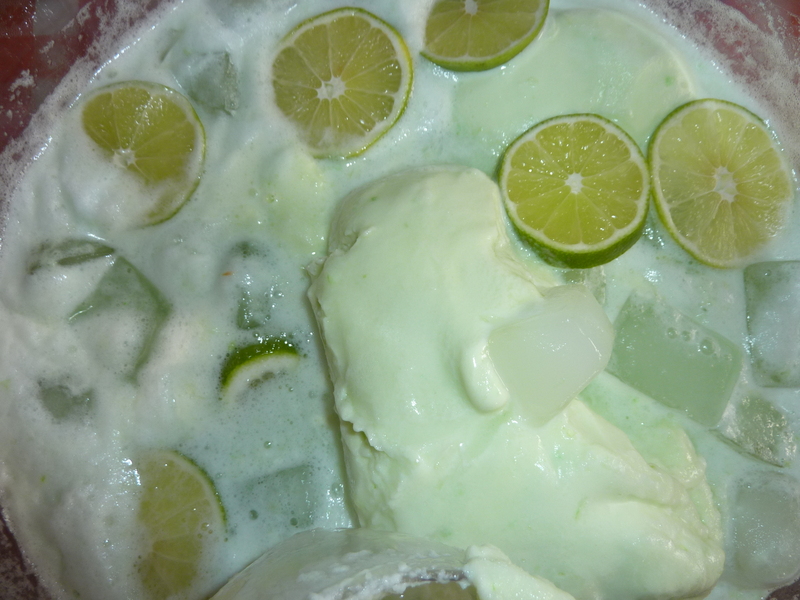 I combined two cans of limeade concentrate (melted), 2 litres of Sprite and 2 L of lime sherbet. Garnished with lime slices. Very yummy! So easy to make and very easy to clean. 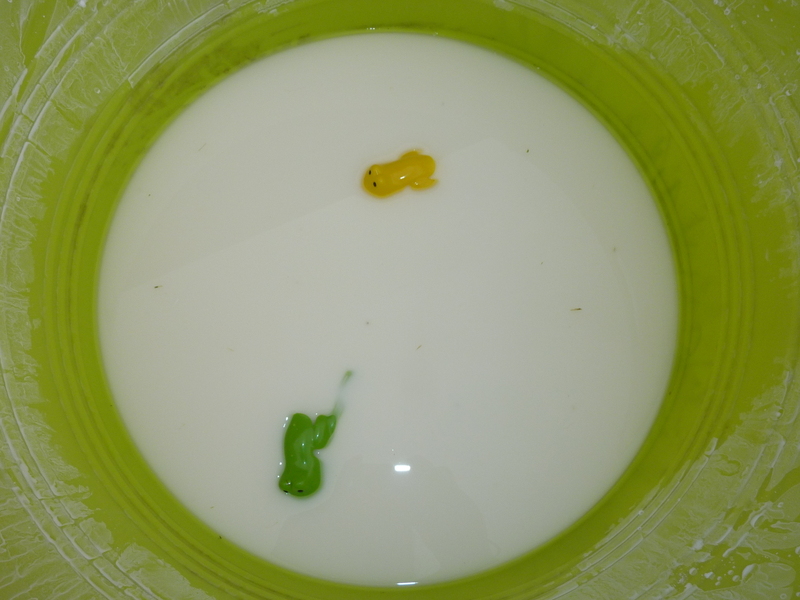 Swamp goo is a mixture of water and cornstarch. The kids love how it’s very thick and almost cement like when they put their hands in it and then when you lift your hands up with the goo in them, it turns back into liquid form. Science made fun!